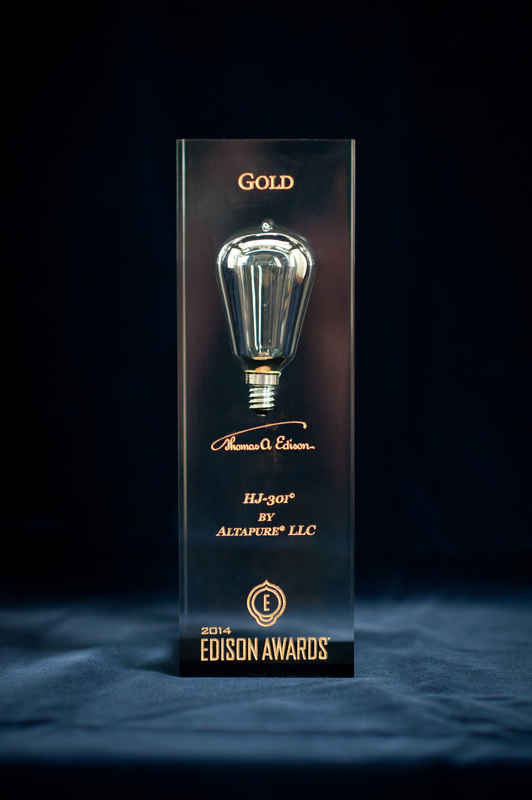 Altapure is honored and proud to announce being the recipient of the prestigious Gold Edison Award ™ for 2014 in the area of “Applied Technology –Safety”. Please click here see the 2014 Edison Award ™ winners. The Edison Award ™ is one of the most prestigious accolades honoring excellence in new product development, marketing, design, and innovation. The Panel of Judges for this award is comprised of more than 3,000 senior business executives and academics from across the nation, whose votes acknowledge excellence in meeting the award criteria: concept, value, delivery, and impact.